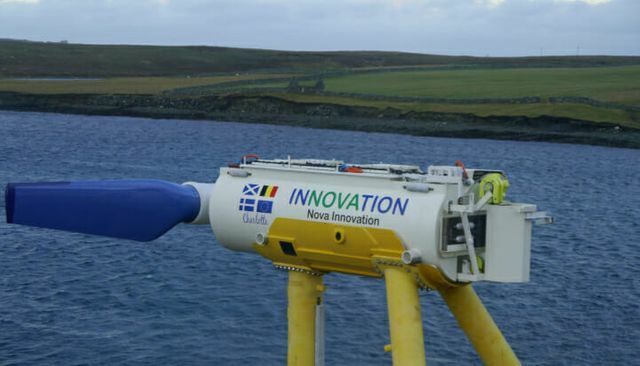 Scottish clean-tech firm Nova Innovation have claimed to have developed the world’s first grid-connected base-load tidal power station using Tesla batteries. Since late October 2018, Nova Innovations have launched their Tidal Energy Storage System (TESS) demonstrator which is helping to improve energy security whilst also reducing carbon emissions and balance both supply & demand. With the predictability of the tide and the six-hour generation cycle the equipment used is highly suited to easily integrate with energy storage. With plans to scale up in the years to come, it is thought that base-load tidal power could have the potential to displace coal and nuclear generation. The CEO of Nova Innovation, Simon Forrest said: “By storing the clean energy generated by the natural ebb and flow of the tide, we can control the supply of electricity to the grid to match demand. This creates a consistent source of completely predictable power from a clean, sustainable resource”.